Power outages from severe weather can be costly, inconvenient and even dangerous for you and your family – especially when they last for weeks. 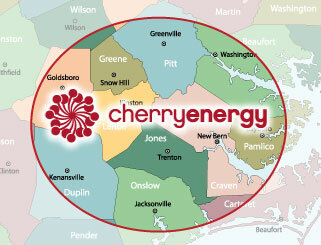 The next time severe weather strikes in North Carolina, be prepared with a portable or whole-house propane generator from Cherry Energy. Designed to power on instantly and automatically after an outage, a whole-house propane generator will keep your most important home comfort and safety systems running normally. Cherry Energy expertly installs whole-house propane generators from top brands like Kohler and Generac, integrating them with your home comfort systems to create an all-weather action plan to keep your family protected. We also offer portable propane generators for more specific applications. We’ll help you find the perfect standby power solution for your home and budget and get it up and running quickly so you’ll enjoy peace of mind right away. Be ready when Mother Nature strikes – contact Cherry Energy today to learn more about portable and whole-house propane generators.